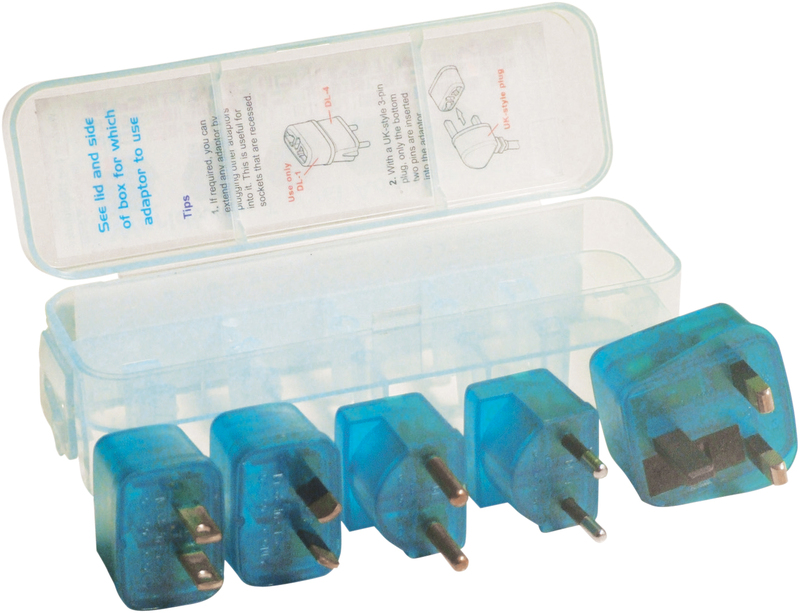 Universal travel adaptor set that can be used in over 150 countries on 6 continents. 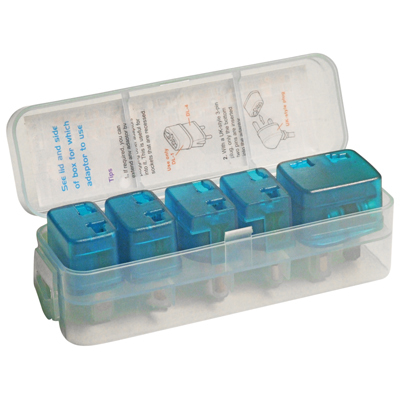 The product consists of 5 interlocking parts for ideal storage while travelling, and separates for ease of use. 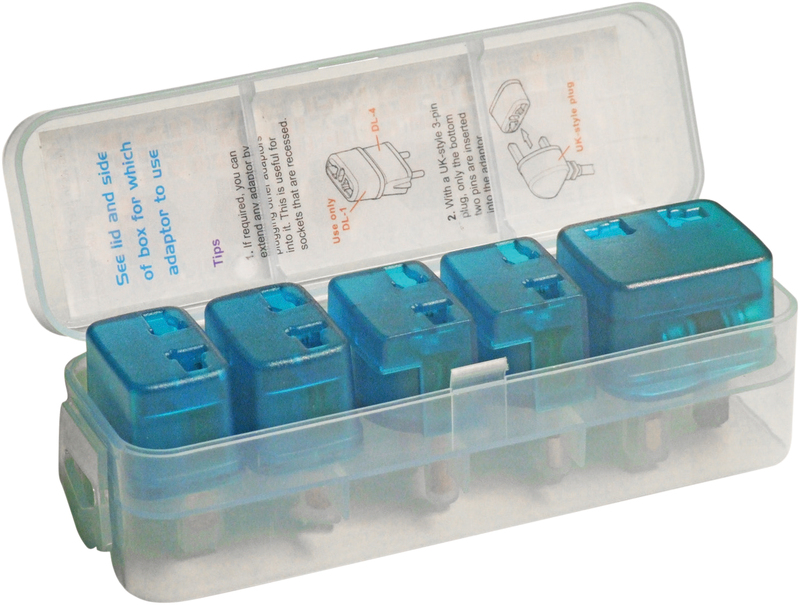 All adaptors are fully shuttered in accordance with local standards and directives.